This is a for Process Lab installation. It was designed by Humane Borders. It is dated 2000–present. How might we place water in strategic locations in the desert to save the most lives? Posters that warn potential migrants of the danger of crossing the border. Thirty foot flags for easy sighting. 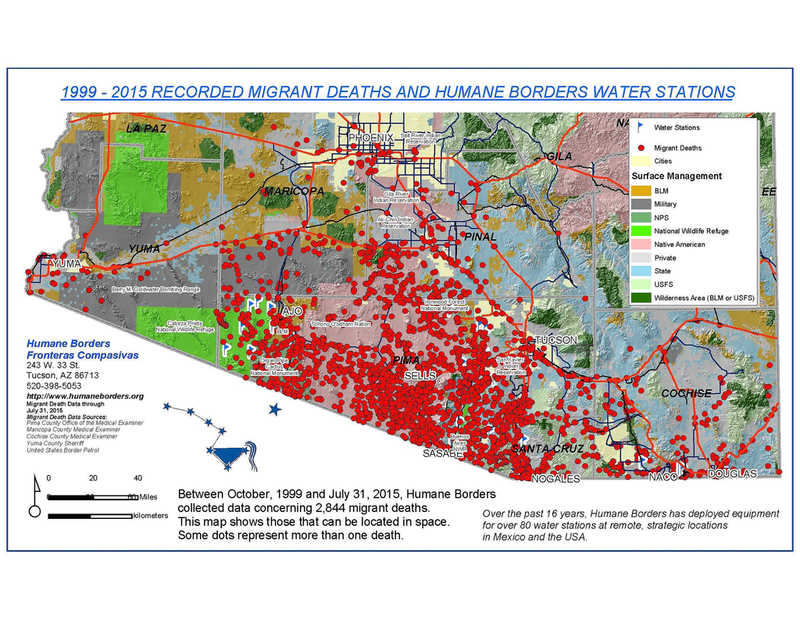 Water stations located where migrants were known to have died.